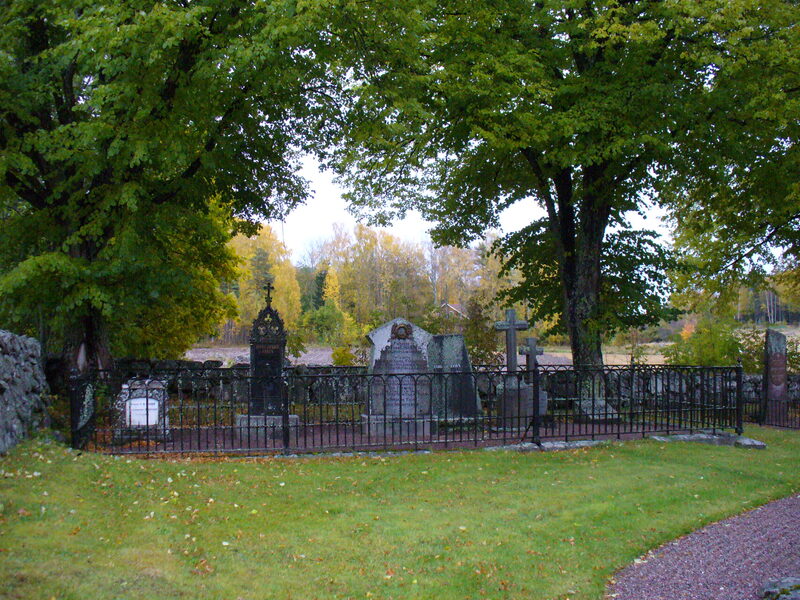 This is the family plot where Hans Henrik von Essen is buried. He is a significant figure in Swedish history. He was born in 1755 at Kavlås Castle further south in Sweden. He was educated at Uppsala University. At the age of 18, he entered the army. He accompanied King Gustav III on his travels. He was also present at the masked ball where King Gustav III was fatally shot. He was credited with quickly ordering the doors to the ballroom closed so that the assassin could not escape. Hans was appointed to colonel in 1787, major general 1795, field marshal in 1811. He served as over-governor of Stockholm from 1795-1797. From 1800 to 1809, he served as over-governor to Pomerainia (northern Germany and Poland along the Baltic) until the revolt in 1809, where-upon he recieved the title of count and a seat at the Council of State. In 1810, he was sent to Paris as an ambassador by King Karl XIII. His negotiations with Napoleon restored Pomerania to Sweden. In 1814, he served as commander of the Swedish army along the Norwegain border. During the Napoleonic wars, Denmark sided with France along with Norway. With the defeat of the French, the Treaty of Keil forced the king of Denmark to cede Norway to Sweden. Hans served as Govenor General of Norway until 1816 when he was succeeded by Count Carl Carlsson Mörner. Quite an illustrious history for someone buried in so remote and tucked away corner of the world. Oh thank you! I love those sorts of historical connections!